Our company, FreightRun and its subsidiaries, are in a unique position to judge if China is fair in trade compared to the US: we import the same products to both nations. With drums beating on both sides of Pacific Ocean as China and US rush headlong into a trade war, and as Trump continues to bash the Chinese unfair trade practices, the ACTUAL effect on US-China trade balances has been a monthly surge for the last several months as US importers try to buy ahead and even stockpile inventory from their China based supply chains. Thus Trump has made the problem worse. 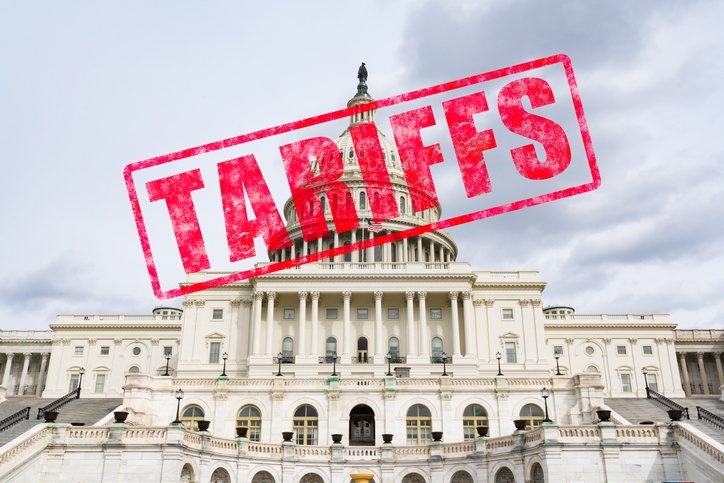 Often the impact of government policy or “announced” policies are the opposite of the intended effect, and so far Trump’s threatened increased tariffs have created lots of pre-buying and pre-shipping as tariffs of 10% are expected to go to 25% and lists of goods subject to the tariffs also expanded. This inventory expansion may even have had a secondary effect of displacing imports from other nations and from US based manufacturers as well – we don’t know. We have also seen US Importers switch from China-sourcing to Vietnam and other sources for their goods; however, we wonder about the Chinese content of products imported into the US from Europe, Japan, and all of the Asian tigers – we believe it is under declared. With all the extra imports into the US West Coast we have seen a surge in LTL shipping and FTL shipping from the West Coast as containers are opened there and then re-shipped in either 53’ trailers FTL to central or regional distribution warehouses or divided amongst various US Customers and shipped out Less-Than-Truckload (common carrier) often through LTL clearinghouses such as FreightRun.com. So we are seeing the Trump Wave of Chinese Imports surge through the US transportation system. 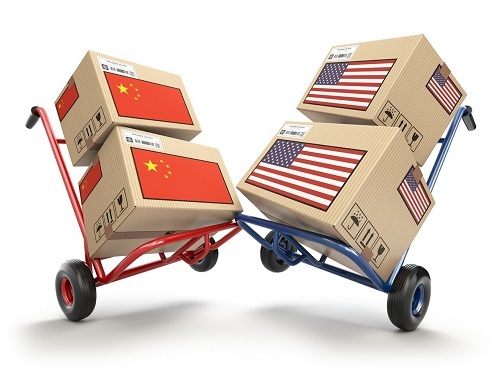 If the Administration wants to get serious about Chinese imports, which are officially listed at 505 billion USD annually, they need to find a way to attack any goods coming into the US from other nations with Chinese “Value-Add” - declared or not. Specifically, US Customs needs to look at and probably contest what any export nation (could be Germany, Italy, Mexico, Canada etc.) lists as the Chinese value add amount listed – and thus subject to tariff. Customs rules can say that US Customs will adjust the tariff charged on that imported “partially Chinese” product to the greater of the declared percentage by the importer, or to the Chinese % of weight added, or to the Chinese % of volume added – surely foreign exporters already under declare the percentage of Chinese content in their products – this is a way to really impact the Chinese economy and to make trade more fair. Or Customs could treat any import with China content as 100% Chinese and impose full tariff. If the Swiss are buying Chinese steel for their watches – adding all their mechanisms etc to the inside – they would face a large US tariff and which would force them to buy steel from elsewhere. Such a tariff against China will have dramatic and fast consequences for the Chinese economy. Make no mistake about it, trade with China is not fair. The Chinese are not playing fair. A US manufacturer of a child’s product whose supply chain we manage cannot export their product to china without a CCC certificate – which in order to get from the Chinese government they need, in addition to many other written hoops to get through, to fly Chinese inspectors to their factory, house them and feed them for an open-ended amount of time – the inspectors have the right to hang out and learn about everything you do at the factory and to make sure you use safe inputs, etc. – and eventually after spending $50k to $100k you get a CCC Certificate probably. But no US factory wants Chinese inspectors crawling over their factory floor with a free reign, it is suspicious China would even require this – Germany doesn’t, Brazil doesn’t, no one does - they can learn your trade secrets, how you make the goods come out just-so, etc. Not fair. Effectively it puts spies of the competition onto your factory floor. China’s CCC Certificate is really an unfair trade practice, and the US requires no equivalent if a Chinese company wants to import to USA. Proof in point, this same US manufacturer above found a Chinese factory to make their product for the Chinese domestic market since they refused to have Chinese inspectors soaking up their manufacturing know how at their plants and thus they could not get a CCC Certificate and therefore could not export to China. We quickly learned that to ship their own product but made in China to the US market was no problem at all – the US doesn’t require factory inspections or anything close as burdensome as the CCC certification, and a month later we filled US back-orders with Chinese made product. The price difference US vs. China was only about a 10% or 15% China advantage, and these are classified as toys, so officially still not subject to the Trump tariffs yet. In any case, China has made sure to make it near impossible to import your US made product to China from the US or anywhere. If we were advising the Trump administration, we would say if you want to ACTUALLY effect the facts on the ground, and GET China to really change, loud public diplomacy is not going to be effective when your counter party's culture is all about “saving face.” So stop announcing your actions in advance, the market will act to counter your announced policies with pre-buys, pre-positioning of orders, re-routing of orders from China into 2nd countries where “value-add” allegedly occurs, and by such methods we will dull the impact of your “Trade War” against China - the Chinese economy will keep humming. You will not have a bargaining chip with the Chinese unless the harm or potential harm to their economy is a REAL threat, not an empty threat, and they can see it, as orders for their goods dry up. The LTL and FTL markets in the US are among the most efficient in the world and can quickly adapt to smaller trade flows from China and greater trade flows from US factories. We should support free and fair trade for many reasons but not least of them is that the US is in the best position to profit from trade because of its superior transportation systems, its spot trucking market for FTL and LTL, and the free and fair markets between its 50 states which made for a remarkably efficient infrastructure where truck, barge rail and air all compete every day 24/7 to supply the largest consumer market in the world with goods and services. But Chinese theft of our intellectual property and unfair trade practices which hurt the US economy and devastate our middle class needs to stop now. The Trump Administration however needs to not just look like it is serious, it needs its policies to quietly but immediately change the facts on the ground with China, as time is not on its side. We need to see Chinese exports to the US and other countries if possible plummet. The new Chinese leader is very vulnerable if he cannot deliver economic growth and indeed, if the US can slow his factories IMMEDIATELY by adopting the policies outlined above (and others! ), he will be willing to sign a new trade deal with the US and WTO. That trade deal must be one which opens up the Chinese economy completely and permanently – no Chinese investment partners needed for Foreign Direct Investment, no CCC certificate, plus a Chinese guarantee with teeth that all imports into China must be cleared by their Customs within 48 hours OR they face sanctions immediately. And also no later passage of laws or implementation quietly by China of any non-tariff trade barriers or again, automatic sanctions. Free trade or no trade with China.